Green cabbage is grown more often than the red or Savoy types, but red cabbage has become increasingly popular for color in salads and cooked dishes. The Savoy varieties are grown for slaw and salads. Varieties that mature later usually grow larger heads and are more suitable for making sauerkraut than the early varieties. All the varieties listed here are resistant to fusarium wilt ("yellows") unless otherwise indicated. All are hybrid varieties unless marked OP, for open-pollinated variety. Transplant early cabbage soon enough that it matures before the heat of summer. Many varieties are available and two or three varieties with different maturities can provide harvest over a long period. Hardened plants are tolerant of frosts and can be planted among the earliest of cool-season garden vegetables. Cabbage is easily transplanted from either bare-root or cell-pack-grown plants. 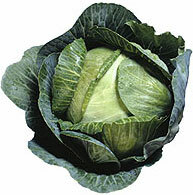 Late cabbage must be started during the heat of mid-summer, but it develops its main head during the cooling weather of fall. It may be transplanted or seeded directly in the garden. In summer, if possible, place seed flats or seedbeds where some protection from the sun is available, either natural or artificial. Try especially hard during this season to transplant on cloudy, overcast or rainy days for minimizing shock from the direct sun of summer. 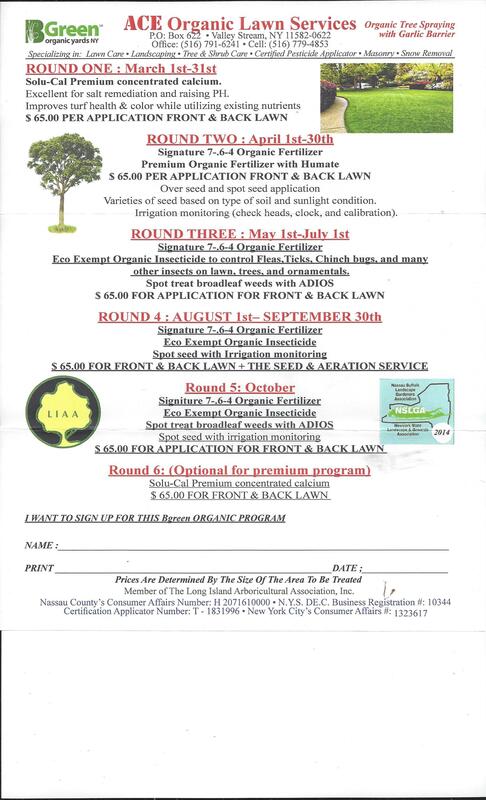 Use starter fertilizer when transplanting and side-dress with nitrogen fertilizer when the plants are half grown. Cultivate shallowly to keep down weeds. 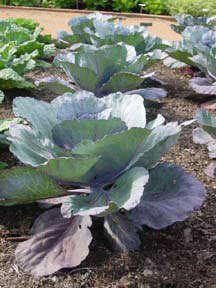 Ample soil moisture is necessary throughout the growing season to produce good cabbage. Irrigation is especially important in fall plantings to help the young plants withstand the intense sunlight and heat of summer and to supply the developing heads with sufficient water to develop quickly.